Happy first wedding anniversary! It has been a year since you two exchanged vows to love and delight and support and respect each other. 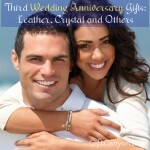 A celebration is in order and you are looking for a suitable present for your significant other. 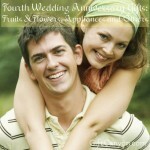 First wedding anniversary gifts are traditionally made of paper while contemporary gifts are clocks. You should not keep yourself from giving something else, though. 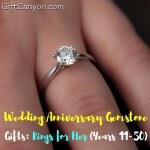 Here are some great first anniversary gifts you can give your spouse. If paper gifts are in mind, one will immediately think about books. His favorite book is an idea, but it is boring. Why not buy this journal book, entitled "What I Love About You and Me"? It is a customizable journal book where you list the different reason why you love your significant other. Hint: the sweetest ideas are small things that they think you do not see, like how your spouse cutely devours buffalo wings or how they snort when they laugh. 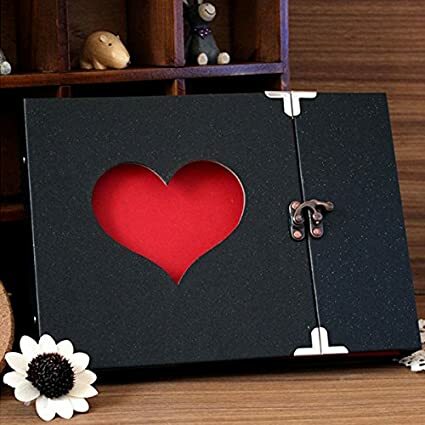 For a sweet labor of love, buy this super cute scrapbook then fill up the pages with a story that promised something for your significant other. Example: If you both love to travel, fill up the first three pages with pictures of both of you in the places you have gone to, then the rest with pictures of places you never went to and add promises to go there in the near future. 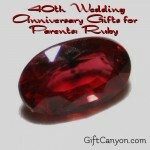 This gift idea will melt his or her heart. This will look good in the bedroom! 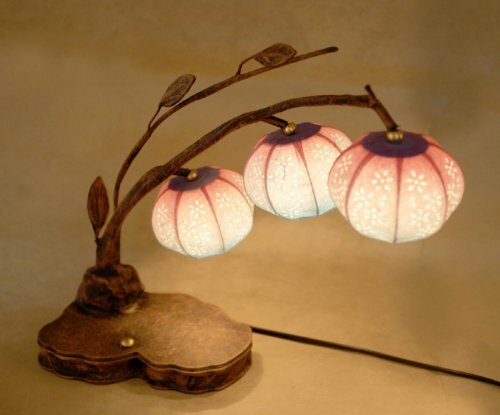 This mulberry lamp looks super unique and will suit a dim-colored room. Lamps like these set the loving mood in the bedroom, so if you are looking for something to give a couple celebrating their first wedding anniversary, this is a great gift idea! "Paper roses, paper roses, oh how beautiful these roses seem to be..." Did you sing along too? A paper rose is a great symbolic gift idea for the missus, and unlike in the song, proclaim your real and everlasting love to her. 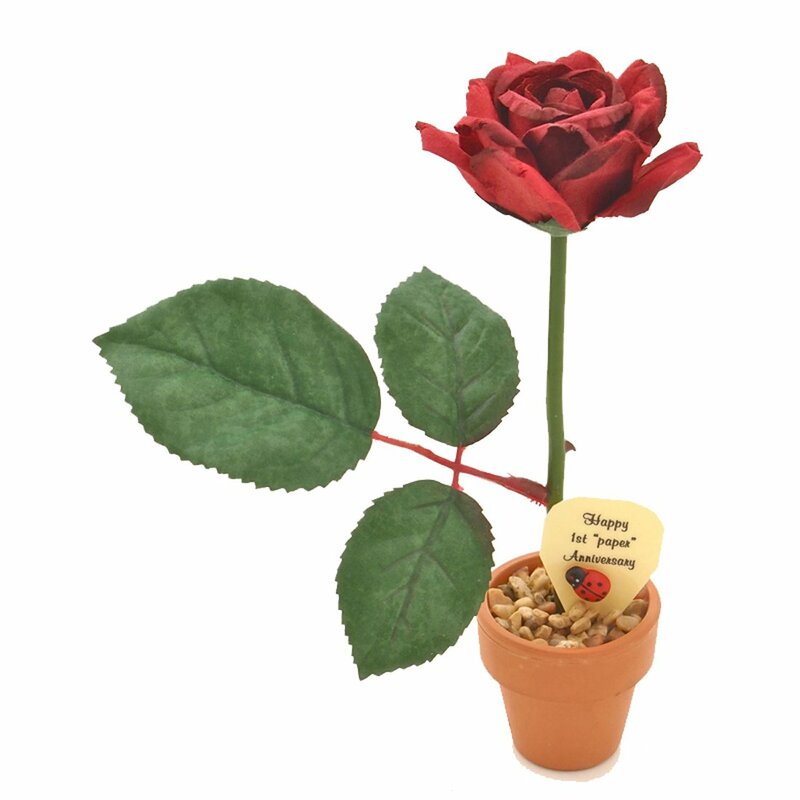 She can keep this rose and display it on he bedside table or if she works in an office, on her desk. 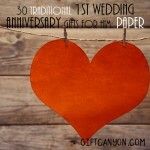 Want more paper anniversary gift ideas? 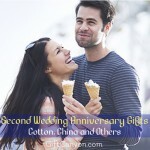 You can check out these in-depth paper anniversary gift ideas for him and for her. Oh wow! A meting clock. 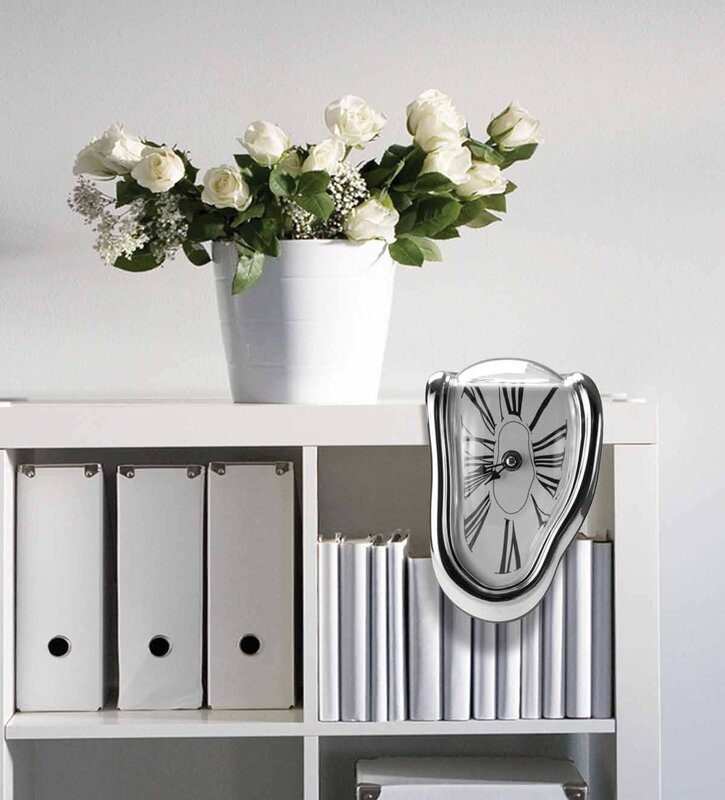 A couple who appreciate visual arts will definitely like the melting clock. It looks like it was taken directly from that old Salvador Dali painting. 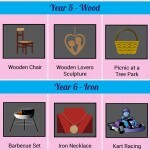 The husband who works at an office will love this, as this can be placed at the edge of the table or a cube. 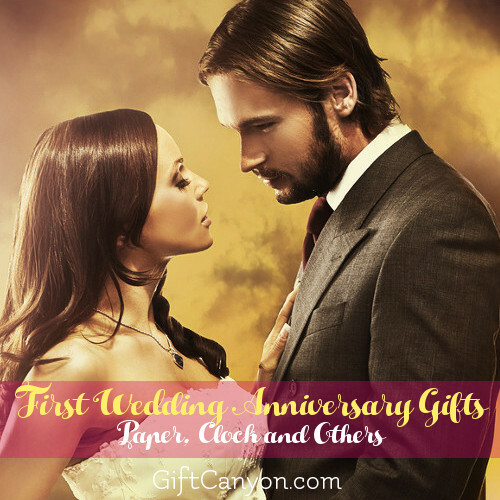 A cuckoo clock is another great gift idea for couples who celebrate their first wedding anniversary. A clock is the modern gift idea for first anniversaries, so a nice clock that can beautify a room in their house is a good idea. 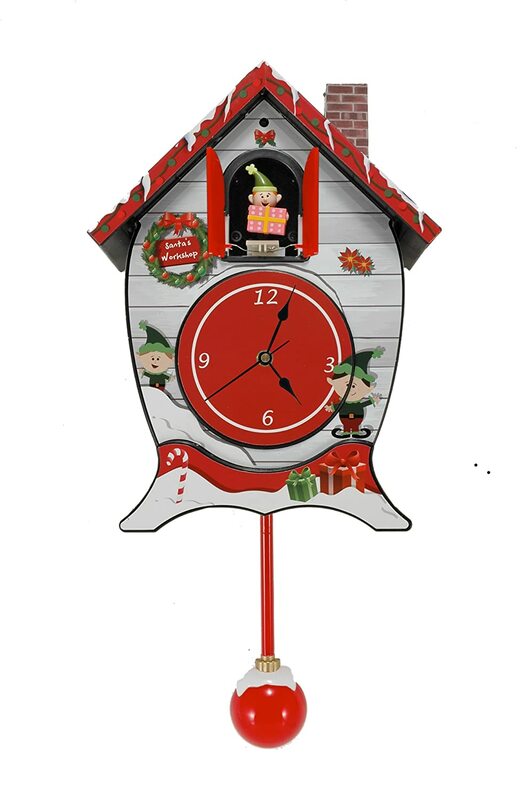 A cuckoo clock is classic and always entertaining. A husband can also give this to his wife. She will love this! A couple's massage is a great gift idea a man can give his wife. Women like to be pampered and bond with their guy, so why not combine both, The husband will get lots of brownie points when the wife realizes she will get a nice spa session with he hubby on their special day. One good idea to keep the marriage strong is to take a vacation somewhere far away once a year. 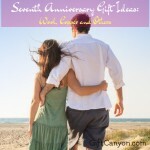 Why not make that vacation your anniversary celebration? 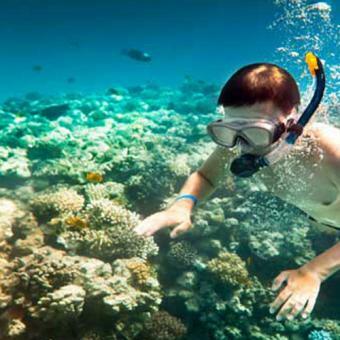 For your first wedding anniversary, you can get to a beautiful island and swim with the fishes, eat delicious sea food and walk barefooted on the beach. This will keep the fire of love burning. You both can also consider this a honeymoon, don't you think? 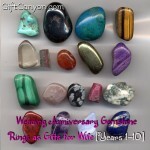 A first anniversary plate is a great gift for couples who celebrate a year spent together. This decorative plate looks gorgeous and will inspire the couple to keep the living feeling alive. This plate is made of porcelain, with 24 carat gold accents, making it a great decor on mantles. Super cool gift idea! This cute booklet lists 52 reasons why you love your significant other. Just list whatever you can think of! 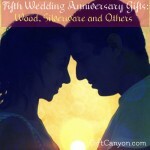 This gift ideas will touch your spouse, make them laugh, make them smile and love you more. 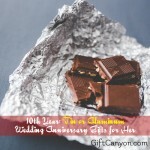 The best thing about this gift idea is that is is easy and inexpensive to make. They will appreciate your labor of love. 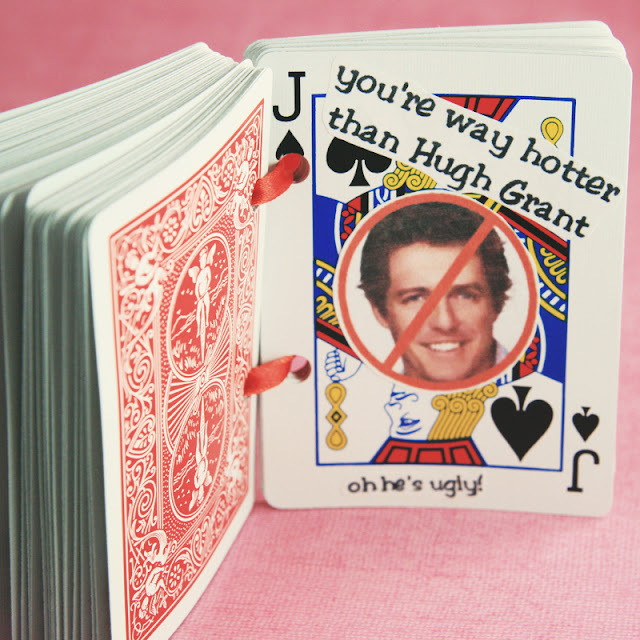 Also, this can fit into the traditional paper gift because of the playing cards.